Contrary to popular belief, you don’t need a lot of suds to clean laundry. In fact, using too much laundry soap can cause soil to be redeposited onto clothing. Many HE detergents are concentrated, so a little goes a long way. Be sure to follow the instructions on the package. If using pods, they should be tossed in the drum before you put in your clothes. Never put pods in the detergent slot. If you use a front-load washer and your clothes aren’t getting as clean as you’d like, don’t blame the machine. It could just be a simple user error of overloading the washer. Next time you do laundry, resist the urge to pack the washer to the brim. For the best results, the experts at WASH recommend loading the drum loosely -- about 75 percent of the way full -- and with an even distribution of both small and large items. Clothes need some room inside the washing machine to get clean. This extra room is essential for the water and detergent to mix properly and permeate throughout your laundry. This also allows the items inside the machine to rub against each other with just the right amount of friction to aid in proper cleaning. Correctly loading your machine helps ensure your clothes come clean without damage, and it also helps prevent wrinkles and pilling on fabrics prone to such, saving you priceless time. Also, try to keep loads balanced with a mix of small and large items. An unbalanced load can cause a washer error during the spin cycle, requiring you to remove your items and restart the machine, which can potentially damage the unit. Following these simple rules not only get clothes cleaner, it helps save you time, and will keep machines functioning properly for both you and your neighbors. 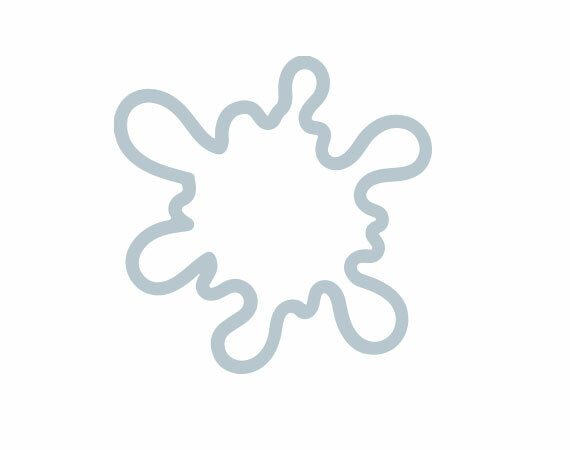 If it appears that the washer rinse cycle didn’t work, if you still have soap on your clothes after the cycle is done, you may have over-soaped. Try running another cycle with fabric softener in the soap dispenser without clothes. That should do the trick. Laundry pods are designed to be placed in the drum with your laundry, before your laundry and never in the detergent slot. The pods are designed to dissolve in water, so be sure to handle them with dry hands. Just toss it in before your clothes for a top-load machine, or in the back of a front-load machine, and you’re good to go — cold or hot water! If your wash cycle is taking a long time to complete, or if there is an error message, it may be because the washer is off balance or overloaded. Wait until the cycle has completed before attempting to open the door. Try rearranging items inside the machine, or removing bulky items, and manually re-centering the tub. Then, re-run the cycle. Clothes need room to move around with the water and soap to get clean – especially with new, high-efficiency washers. That’s why you should only fill the washer drum three-quarters of the way full. 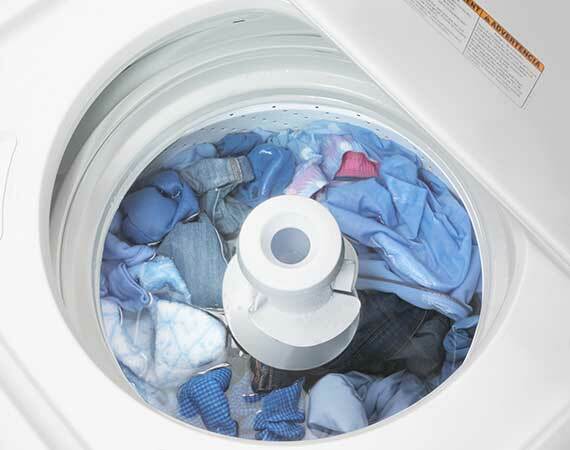 Overfilling can cause problems with the washer and potentially damage your clothes. If your clothes are warm but still damp, it may be a fuller-than-average load or your washer’s spin cycle may have not completely rung out the clothes. Try running another dry cycle or split the load into two cycles to get the clothes adequately dry. If you are experiencing a problem with a washer or dryer, check out our help section to find common solutions. You can also quickly request service through our FIXLAUNDRY mobile app or online form. It’s an easy, hassle-free way to request washer or dryer repair. Simply use your phone to scan the barcode on the machine or enter the machine ID. Then select the problem description. That’s all there is to it. The app automatically identifies the exact machine, your location and dispatches our service technicians to fix the problem. To request a refund for coin payment, simply complete the online form. Requesting a refund through PayRange is easy. Tap on "Report a Problem"
Sending it through "Report a Problem" in the app will attach the transaction ID. For a card system refund or for a defective card, please see your property manager for a refund kit or call 866.754.3404. Soak in warm water with an enzyme soak product. Wash in warmest water safe for stained fabric. If the stain remains, dampen and sprinkle with meat tenderizer. Let stand 30 minutes to one hour. Rub detergent on stain and rewash. One thing that is great for diapers and whites is natural sunlight, which helps to bleach out stains. Run the fabric, inside out, under cold (not warm or hot) water to flush out as much of the formula as possible. If you can’t rinse out the outfit right away, you can also neutralize the acid from your baby’s spit up with baking soda to help stop the acid from yellowing the fabric. Pretreat the stain with liquid laundry detergent containing enzymes, soaking for 30 minutes in cold water; launder the item. Run the fabric, inside out, under cold (not warm or hot) water to flush out as much of the urine as possible. Pretreat the stain with liquid laundry detergent containing enzymes, soaking for 30 minutes in cold water. If the stain is older, you may need to soak even longer, perhaps even overnight. Launder in the hottest water the fabric will allow to get out the stain. Scrape off any excess vomit from the fabric. Run the fabric, inside out, under the cold water to flush out as much of the vomit as possible. Pretreat the stain with a laundry prewash stain remover. Launder in the hottest water the fabric will allow to get out the stain. Treat the blood stain as quickly as possible, giving it as little chance to set as possible. Do NOT rinse with hot water, which will only set the blood stain. Instead, treat only with cold water. Assess whether the blood stain is fresh or dried and old. If the blood stain is new, flush the stain with cold water, and then soak in cold water for approximately half an hour. Then, apply 3% hydrogen peroxide directly to the spot with an eyedropper. If the blood stain is dried, first brush off all dried blood. Then, create a soaking solution of cool water and a laundry detergent that contains enzymes to soak the stained item in for at least 30 minutes or perhaps longer (up to overnight). After soaking, pre-treat the stain with a laundry prewash stain remover. Launder as normal. Make sure the stain is gone after washing, but before you place in the dryer or you may set the stain. Repeat if necessary. Brush the excess stain off the surface of the fabric. Rinse in cool water to dilute the stain. Pretreat the stain with liquid laundry detergent, coating the stain without rubbing it in, and then let it sit for several minutes. Launder as normal. Make sure the stain is gone after washing, but before you place in the dryer or you may set the stain. Repeat if necessary. Soak in warm or cold water. An enzyme soak product may help. Brush area vigorously with a paste of detergent and hot water. Sponge with a borax or vinegar solution. Soak immediately in cold water, then sponge with a borax or vinegar solution. Rinse area with cold water immediately. Rub in a couple of drops of a mild, white dishwashing liquid and rinse well. Then treat with a mixture of one-part white household vinegar and three-parts water. Rinse again and launder as you normally do. If the deodorant has been sitting for a while, you should apply distilled white vinegar to the stained area, allowing it to sit for approximately half an hour. Rinse the vinegar from the fabric and apply a laundry prewash stain remover. Launder in the hottest water the fabric will allow to get out the stain caused by the deodorant. Make sure the stain is gone after washing, but before you place in the dryer or you may set the stain. Repeat if necessary. Scrape off excess. Apply pre-treat detergent, wash in cold water and then in warm water. For red dirt or dirt that may contain iron, try rust removal methods. Non-chlorine bleach may be used. Buy digestive enzymes for humans at your health food store or pharmacy – powders or pills are fine. Mix about 1 teaspoon of the powder (grind up a pill until it is a powder) with enough water to make a paste. Spread the paste onto the stain. Let it set for an hour or so before laundering as usual. To clean up gravy, spoon it up as fast as you can. Sprinkle artificial sweetener or flour over the stained area to absorb the grease. Put the garment into a sink and soak in a mixture of one teaspoon of a mild, colorless detergent with each cup of lukewarm water for at least 20 minutes. Then wash as usual and let air dry—don’t put in the dryer. Rinse any excess juice from the fabric and flush the stained area with cool water, being careful not to spread the stain further. Make a solution of half a teaspoon of liquid laundry detergent, mixed with a tablespoon of white vinegar, and a quart of warm water. Let the stained fabric soak in this solution for about 15 minutes. Thoroughly rinse the fabric with clear cool water. Run the fabric, inside out, under cold water to flush out as much of the ketchup/salsa as possible. Apply liquid laundry detergent to the stained area and let it soak in cold water for 15-30 minutes. Rinse the fabric with cold water. Next, sponge the stained area with white vinegar, applying the vinegar with a clean white cloth. Rinse with cold water, again. Pretreat the stain with a laundry prewash stain remover. Launder in the hottest water the fabric will allow to get out the stain. Generally, lipstick can be removed from washable clothing with isopropyl rubbing alcohol. Use two hand towels; put one down and place the lipstick stain face down on it. Dab the back of the stain with the other towel, which has been dipped into the alcohol. Repeat until stain is gone. If there’s any residue, use a pre-spotter or stain remover before laundering and let air dry to be sure the stain is gone. Lipsticks today have newer formulas, such as those with long lasting agents or those with a lot of gloss. Several treatments may be needed to remove these stains. Oxygen bleach is a good choice to remove mildew. If your clothes have visible mold or a mildew smell, soak them in oxygen bleach and hot water before washing as usual. Soak overnight in lemon juice or salty water. Wash in warm soapy water, rinse well and dry in the sun. Rinse the fabric, inside out, under cold (not warm or hot) water to flush out as much of the milk as possible. Pretreat the stain with liquid laundry detergent containing enzymes, soaking for 30 minutes in cold water. Do not use hot water. If the stain is older, you may need to soak even longer, perhaps even overnight. Launder the item. Removing black oil from skin or clothes — baby oil, oil based suntan oil (particularly useful info for sunbathers at the beach who step in oil spill debris). For the removal of oil or fat stains, try corn flour rubbed into the stain and leave for about 20 minutes then brush off with a soft cloth or brush. This may need several applications for a good result. Speed up the process if you wish by placing a paper towel above and below the treated stain and running a hot steam iron over it. Citrus oil (actually, citrus turpine) products – These are made from natural, steam distilled citrus oils, which are natural solvents. They are not non-toxic, but they have the lowest toxicity of all solvents. Presoak the clothing in a solution of liquid laundry detergent and cool water (approximately 2 tablespoons of detergent to one gallon of water) for at least 30 minutes (if the stain is very old it may need to sit overnight). Pretreat the stain with a laundry prewash stain remover. Launder in the hottest water the fabric will allow to get out the stain. Stains from fruit, including tomato sauce, disappear when boiling water is poured over them. Run the fabric, inside out, under cold water to flush out as much of the sauce as possible. Apply liquid laundry detergent to the stained area and let it soak in cold water for 15-30 minutes. Rinse the fabric with cold water. Next, sponge the stained area with white vinegar, applying the vinegar with a clean white cloth. Rinse with cold water, again. Pretreat the stain with a laundry prewash stain remover. Launder in the hottest water the fabric will allow to get out the stain. Prevention is better than curative. Let antiperspirant or deodorant dry completely before putting on your garment. Pre-treat the underarm area of the garment with liquid laundry detergent, so the buildup can be washed away. If the stain is old, treat the area with white or apple cider vinegar to help dissolve the perspiration. Wash in hot water at least every third or fourth time to get rid of the buildup. One thing that is great for whites is natural sunlight, which helps to bleach out stains. Immediately flush or sponge stains with cold water, then soak in detergent and cool water. For red wine, use a pre-treat product. Stains from fruit, including wine and tomato sauce, disappear when boiling water is poured over them. For wine spots on cotton, treat within 24 hours with white distilled vinegar applied directly to the stain and rubbed. Then clean in accordance with instructions on the label. To remove red wine stains, use white wine. To remove red-wine stains, pour a big dose of salt on top of the stain to absorb the liquid. Put the tablecloth into cold water and try to rub out the stain. 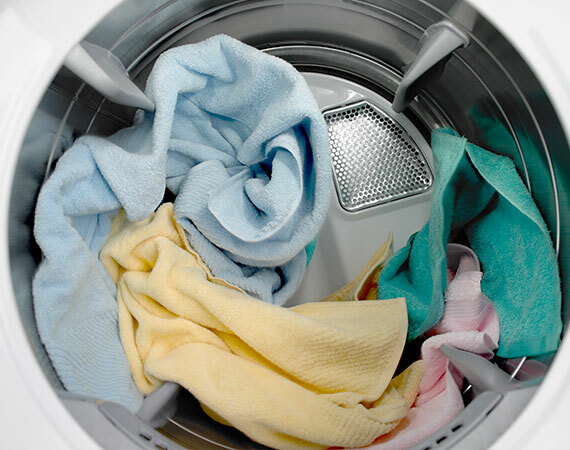 Use an enzyme detergent in the hottest water safe for the fabric, soak for 30 minutes and launder. Great. Glad we could help! We're sorry this article wasn't able to help you out. Can we help you solve this issue in another way?